Some Kia dealers regularly offer specials: Have look here. As attractive as you could reasonably expect a "bus" to be, the Grand Sedona features LED head- and foglamps. It rides on 18-inch wheels. Whereas big SUVs are currently all the rage and particularly rugged, bakkie-based 7-seaters sell like the proverbial "hot cakes", the "minibus" rarely features on families' shortlists these days. However, there are still a fair number of more astute shoppers out there who make their decisions based on what vehicle they actually require... as opposed to the one that would make envious neighbours' curtains twitch most vigorously. 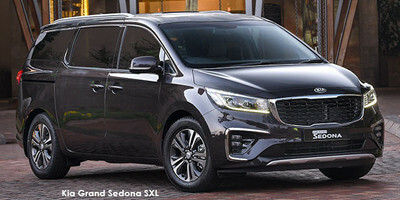 So, if you're looking for a very spacious family vehicle for long-distance travel, want to seat 7 people in comfort and not sacrifice the onboard luxuries and on-road refinement you'd expect when shopping at this price level, Kia's Grand Sedona SXL needs to feature very highly on your shortlist. OWN A Kia? Please tell us about your experience here. You can either walk through the cabin to access the third row, or adjust the seats forward to simply step into the back. The Grand Sedona is a big machine (you may want to familiarise yourself with its exterior dimensions and haul out the measuring tape to make sure it will fit in your garage). 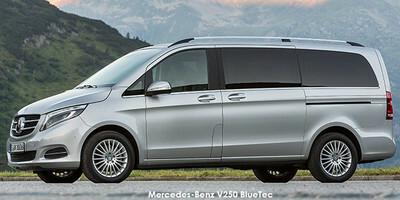 It measures 5 115 mm in length, which makes it comfortably longer than a VW Caravelle, but only slightly shorter than a Mercedes-Benz V-Class. At 1 985 mm in breadth, it is wider than either of those rivals, but it is a bit lower, so it looks less like a "bus". Slide open those side doors (can be done via the key fob on this SXL version) and you'll find a cabin that is hard to fault. Firstly, due to its 2 individual chairs in the 2nd row, access to the 3rd-row bench is easy – you simply walk between those individual seats. Of course, that's if you're lazy... Alternatively, you can adjust the 2nd-row seats out of the way to make it possible to step straight into the 3rd-row area. Headroom is excellent, and legroom, even for those in the back row, is superb. We'll get to the various luxuries and amenities shortly, but the most impressive aspect of the Grand Sedona's packaging is that it manages to offer comfortable (and we mean, comfortable) seating for 7 adults, as well as a capacious load bay. The 3rd-row bench is very comfortable (note the cream leather upholstery). Loads of storage space underneath the bench, too. Lift the tailgate (again electrically assisted) and you're presented with a very deep luggage area, although it admittedly doesn't stretch into the cabin very far. However, due to its depth, it's possible to stack a vast number of suitcases in there. During its tenure in our test fleet, the Grand Sedona was used for a 400-km journey with 7 people and their luggage (enough for 2 weeks' holiday) on board – and proved to have space in reserve. Further boosting practicality is the multitude of storage spaces in the cabin – large door pockets are fitted all-round, numerous drinks holders are availed, and there's a secondary lidded compartment above the traditional glove compartment. The lidded storage box between the front seats is also of a very handy size and, finally, you can fit quite a few items underneath that 3rd-row bench, too. Good quality materials and loads of features give the Grand Sedona's cabin an upmarket, luxurious ambience. From behind the Grand Sedona's steering wheel, it is apparent why this is the flagship of the Kia range. High-quality plastics, leather with contrast stitching, plus piano black and metallic accents contribute to a sense of driving something expensive which, of course, the Kia is. It deserves to be emphasised, however, that in terms of the quality of the fittings and materials used, this Kia doesn't have to stand back for its rivals from Germany. Both front seats are electrically adjustable (with memory function) and feature heating and cooling. In fact, even the 2nd row of seats have heaters. The steering wheel, too, is heated and in addition to dual-zone climate control in front, there are separate air-conditioning vents for those in the rear. The Grand Sedona is a big car, and we were concerned that the dark exterior colour would result in a cabin that would remain unbearably hot after the vehicle had been parked in the sun for an extended period. The reality, however, is that the ventilation system has more than enough oomph to cool the sizeable Kia's interior in a hurry. Oh... there's also a vast dual sunroof fitted to this SXL derivative. Grand Sedona SXL features an 8-inch colour touch-screen with embedded navigation. In terms of infotainment, the Grand Sedona features a properly up-to-date 8-inch touchscreen interface with embedded navigation, as well as Apple Carplay/Android Auto compatibility. There's a wireless smartphone charger in front of the transmission lever, and numerous USB charging points dotted throughout the cabin. This top-spec SXL derivative also gets an additional pair of speakers, bringing the tally up to 8. The SXL derivative further boasts a long list of standard safety features, including 6 airbags, ABS/EBD, electronic stability programme, Hill-start assist, blind-spot detection, front and rear park sensors (camera to the rear, too) and LED headlamps with automatic levelling. Impressively, Isofix child seat anchor points are fitted to the second- and third-row seats. Now featuring an 8-speed automatic transmission, the Grand Sedona delivers efficient, refined long-distance cruising. The Grand Sedona is no longer offered with the 3.3-litre V6 petrol engine; it now comes exclusively with the marque's trusty 2.2-litre turbodiesel. The engine delivers 147 kW and decent torque (440 Nm, from 1 750 to 2 750 rpm). 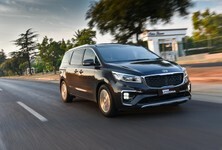 Compared with previous versions of the engine, the latest iteration features a number of tweaks, including Kia's 4th-generation fuel injection system for improved responsiveness, fuel economy and performance. Kia claims a combined cycle consumption figure of 8.0 L/100km, which, of course, is optimistic, particularly given the likely role this vehicle will perform in the real world. We did, however, achieve a still-impressive figure of 9.0 L/100km, which included longer journeys fully loaded with passengers and their detritus. The Grand Sedona comes fitted with an 80-litre fuel tank, which should make long stints possible between fill-ups. Auto Hold and electronic park brake are new additions to the Grand Sedona. Also note heated/cooled front seats and heated steering wheel button. Mechanically, the biggest news with the latest Grand Sedona is its new 8-speed automatic transmission. It proved to be a very good fit for the Grand Sedona during the vehicle's time with us, and impressed with its smoothness and speed. That said, this is a heavy vehicle, so it's not going to win any traffic-light grands prix. Kia claims a 0-100 kph time of 13.6 seconds, but we suspect that might be inaccurate. Subjectively speaking the Grand Sedona feels more eager than that figure suggests. 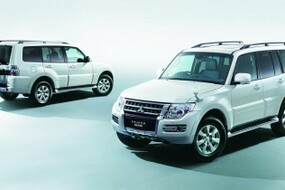 More importantly, it has sufficient power for safe overtaking at the national speed limit. It's also worth noting that the Grand Sedona is not based on the same underpinnings as sister company Hyundai's H-1 (also recently updated). 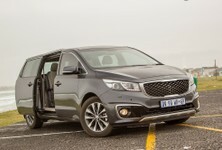 Instead, the Kia is more closely related to the Sorento SUV. As a result, the Grand Sedona doesn't feel as clumsy or top-heavy as a typical "bus". Fitted with 18-inch wheels shod with 235/60 rubber, the Grand Sedona strikes a fine compromise between good road-holding and ride comfort. The SXL derivative reviewed here is the flagship in the line-up and sells for R792 995. The asking price does appear steep, yes, but keep in mind that it is a full-house offering. It also comes with Kia's excellent 5-year/unlimited km warranty and 5-year/100 000 km service plan. LED combination taillamps are exclusive to the SXL derivative. Offering vast space, excellent versatility, sumptuous on-road comfort (for all 7 occupants!) 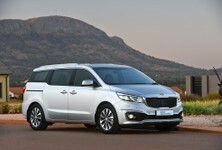 over long distances and equipped with more toys to play with as standard than most similarly priced SUVs, the Kia Grand Sedona 2.2 CRDi SXL may very well be the ultimate family car. Factor in Kia's excellent warranty/service plan, as well as the excellent overall quality of this product, and that price suddenly starts to resemble a bargain. Looking to buy a new / used Kia Grand Sedona?